Brunswick artist Barbara Bean, a retired clinical social worker, spent a great deal of her pre-work years drawing. During her 30 years as a social worker, she encouraged children with developmental disabilities to draw as a means of self-expression. Since her retirement, Bean has been expressing herself in her home studio for many hours a day. 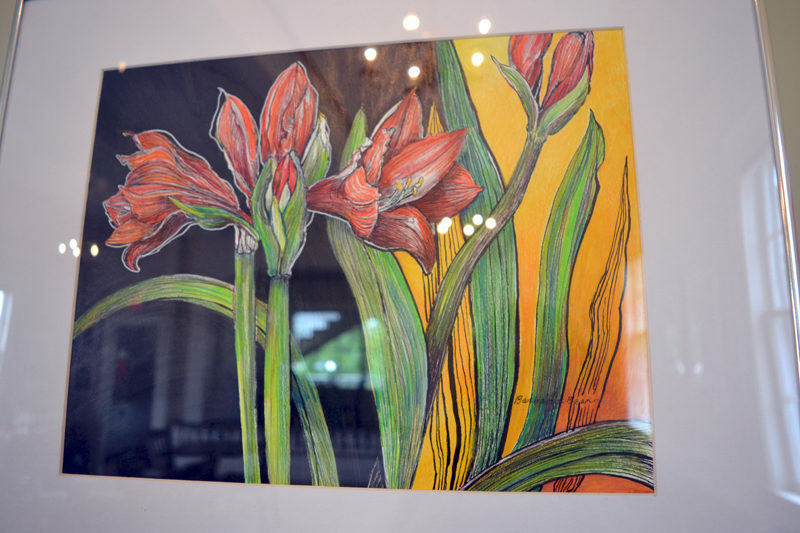 Some of the beautiful results of her long hours indulging her passion for drawing – and painting – currently hang on the walls of Savory Maine Dining & Provisions in Damariscotta.